Adler Planetarium & Astronomy Museum « Jeff Kennedy Associates, Inc.
Two galleries designed by JKA, Our Solar System (5,000 sq. ft.) and The Milky Way Galaxy (10,000 sq. 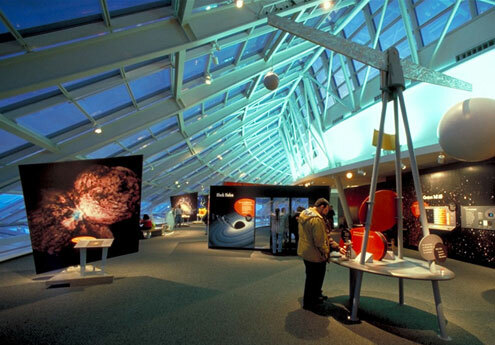 ft.), were the centerpiece of a major expansion of the hemisphere’s oldest planetarium. Opened in early 1999, these unique glass-enclosed exhibit areas expanded the presence of the Adler’s landmark 12-sided building to the edge of Lake Michigan in Chicago. Our Solar System gallery interprets its namesake as made up of many more real worlds than just nine planets—it also introduces the multitude of moons, comets and asteroids that also orbit our Sun. 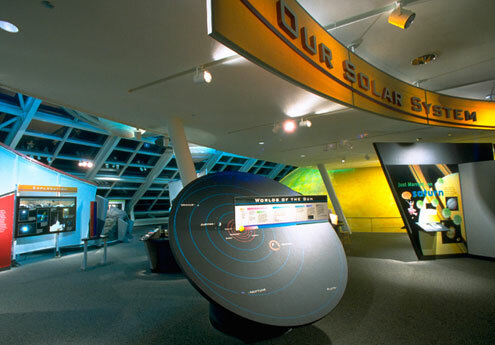 The gallery introduces the array of real worlds comprising the Solar System through dramatic models, spectacular scientific visualization, virtual reality technologies and other computer-based and hands-on components. 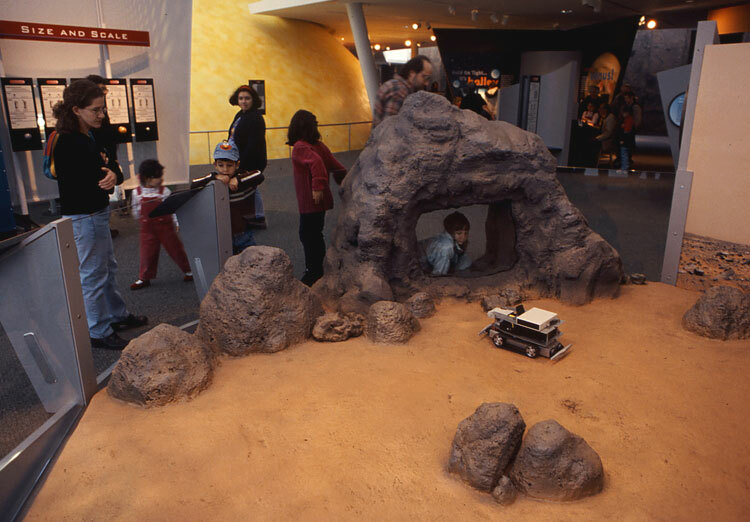 Visitors can upload commands and direct the exploration of a Mars-like terrain by a robotic rover, much like the telepresence experiments NASA scientists performed on the Pathfinder mission. 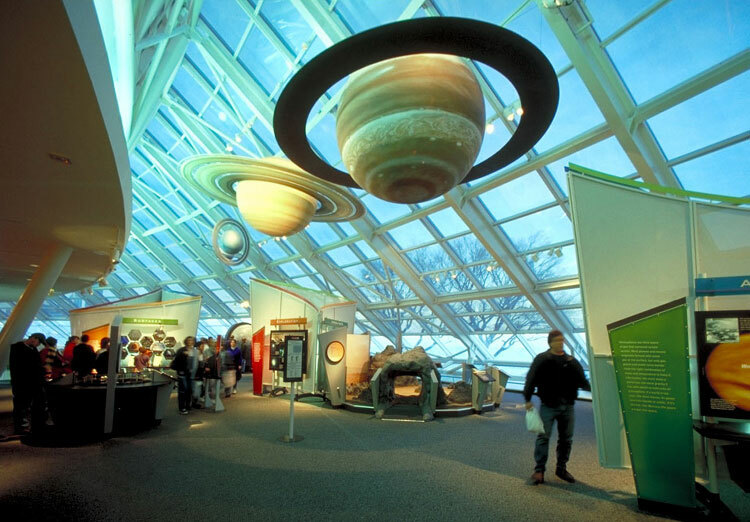 A new Chicago lakefront landmark, the expansion of the hemisphere’s oldest planetarium features expansive areas of glass providing a world class view of the lake and sky. 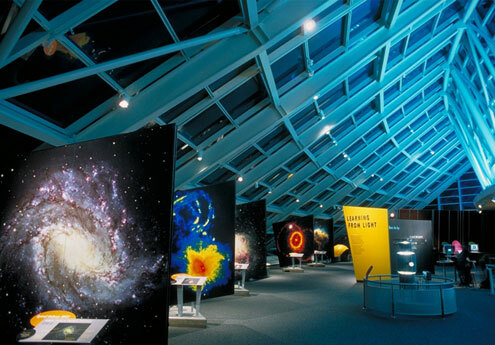 Architectural scale images tell the story of the stellar life cycle in an artful and dramatic way. In The Milky Way Galaxy, visitors see that, from Earth, we can observe the Milky Way from many perspectives, gaining insight into its composition, structure and motion. 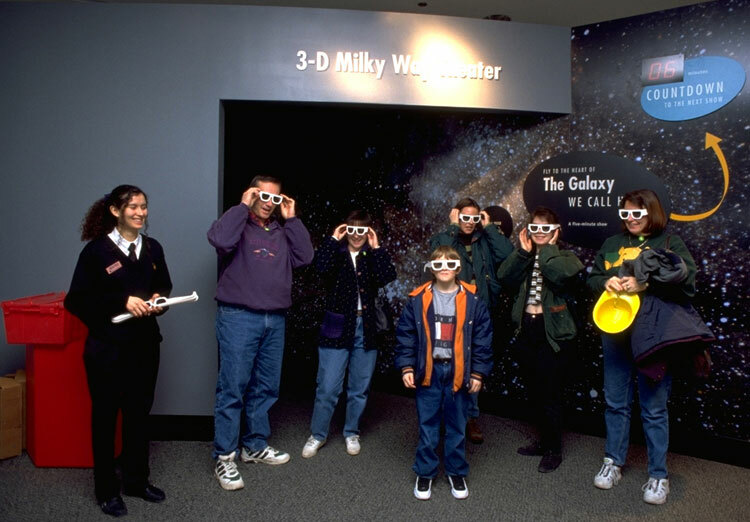 Working with the Wright Center for Science Visualization at Tufts University, we produced a powerful 4-minute 3D journey that takes visitors to the edge of the black hole at the center of our galaxy and back again.